If you have a craving for something sweet, this combination will take your breath away. With 9 oz. 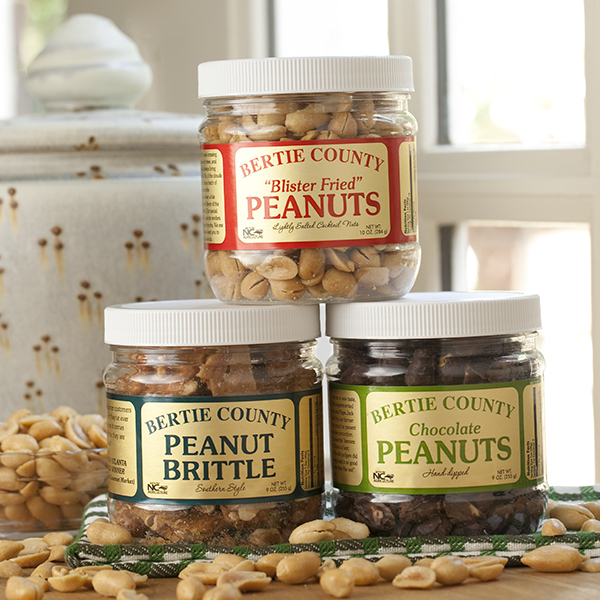 jars of Chocolate, Butterscotch and Peanut Brittle your satisfaction is instantaneous! We sent this selection to several of our friends and they always Rave about the size, quality and the "Lip smacking flavor". All the peanuts are Awesome! Quality product, nicely packaged, shipped really quick. From salty sweet to spicey a taste for everyone. Best peanuts ever! You can't go wrong with peanuts covered in butterscotch and chocolate! 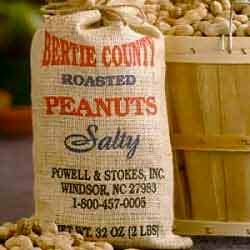 I was recommended to try Berties' Peanuts from a work colleague on the East Coast. We were not disappointed. The chocolate covered peanuts, and the kickin sticks were our favorites. I have ordered you products as gifts but never tasted any of them. 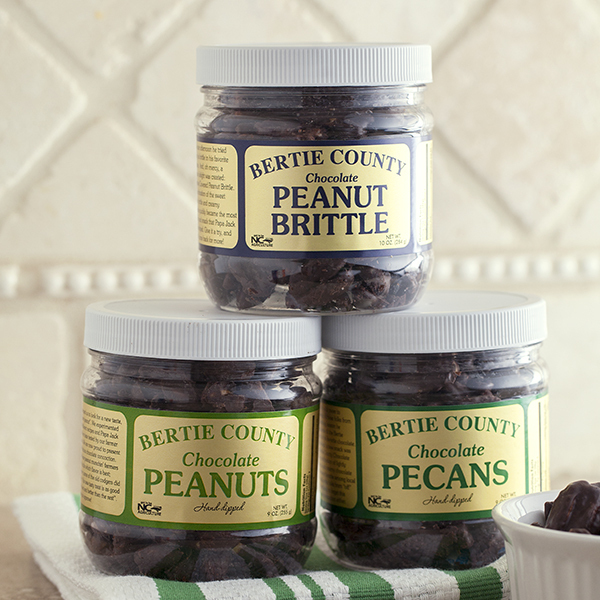 Bertie peanuts are the best peanuts I've ever had. You won't be disappointed. Ordered gift baskets for Christmas gifts..We previously received this as a gift and it was wonderful. 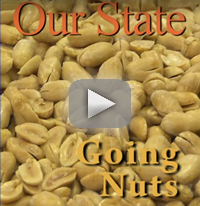 I received a phone call from my recipient the day he received his trio of nuts. He was very pleased. Feedback from recipients tell me the favorite of everyone is Butterscotch Peanuts . Wonderful blend of slightly sweet, and salty Hard to keep the lid on the jar was among the comments.